According to a recent study, 18 to 34-year-olds in the USA are less likely to be living independently of their families and establishing their own households than they were in during the Great Recession. Despite falling rates of unemployment and increased median salaries among them, these days Millenials seem to need extra help when it comes to leaving home. 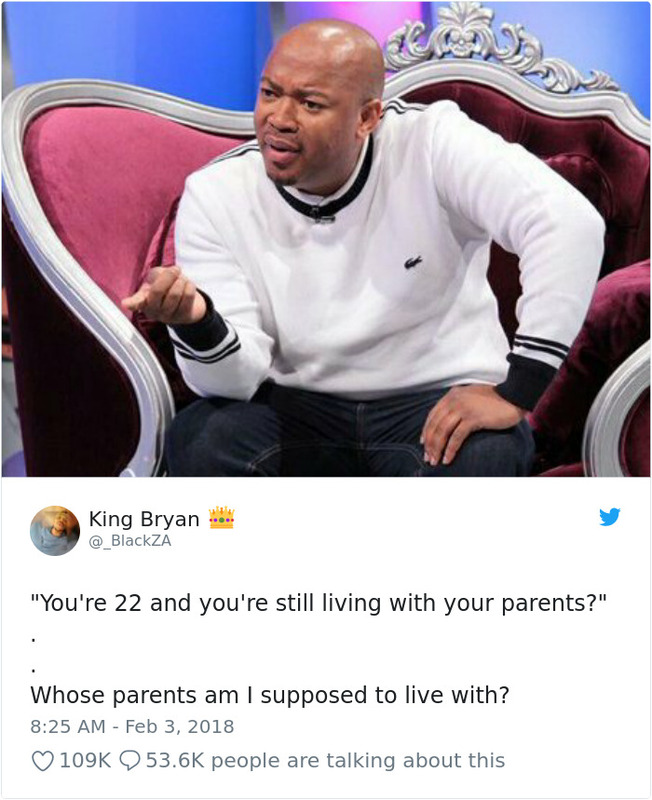 But while some argue that the fear of moving out of your parents’ place is the fear of leaving your childhood behind and becoming an adult with all the responsibilities that come along, others disagree. 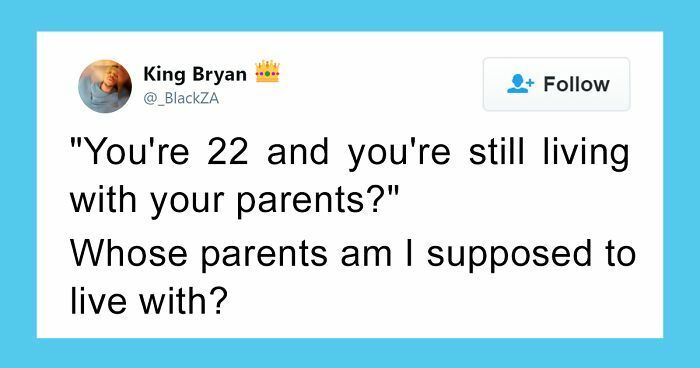 Tumblr users are sharing their thoughts about why they think adults who continue living with their parents aren’t failures. Scroll down to check out their reasoning and leave your thoughts in the comments. i purchased a house at 25 years old. last year (i'm 39 now) i sold it to help my mother. my father died and she couldn't cope with debts (long story, not my parents' fault) plus she was living in this HUGE house alone. when i sold the house i cancelled out what was left of my mortgage, helped my mother settle her bills, and refurbished the first story of my family house which i'm now sharing with my mother: she lives downstairs, i live upstairs. she's retired and my job pays for everything, so i wouldn't exactly say that if you live with your parents as an adult your life is a failure. My mom moved in with me (and my spouse) in similar circumstance, and when I was badly injured and bedridden, having her in our home (in a Mom-suite on the first floor!)... Well, I wouldn't regard any of us as failures! You are doing the right thing. You never lose from living with your parents, especially if your parents are good people. This bs that the western cultures put in people’s heads needs to stop. Most of these people move out at 18 and suffer for years and years, and the parents who kick them out at 18 end up in old people homes. This so true, I'm 64 and a widow, living with my adult son in his house. Unless I find a job that lets me afford some place of my own, with 3 dogs, but doesn't cut my social security I can't move. Can't make enough on a job to lose it, or with it, and can't get much help from social services to make a difference. I still have bills to pay and that eats up a lot of my SS. Fortunately we get along pretty well and I do the housework and groceries/cooking for him. Just on't see this changing in the near future, but it's okay. Your a good child raised by a good parents, hope everybody is like you that never abandons their parents. It's just so boring to read how people tell others what they can or can't do. If you want to live with your parents until you're 50 and it's in mutual agreement than that's fine. On the other hand if you think you can make it alone when you're 18 that's fine too. If everyone just stopped trying to force their opinions and beliefs upon to others, this world wouldn't be so messed up. In many cultures people still stay with the parents even after they get married. Both sides contribute in many ways. Amen. Just, amen. Preach and scream this. Please! It's so simple! If you and your child (or you and your parents) are happy with the arrangement and it's working, then it's a success! End of sentence. There are many circumstances which result in staying with parents. Not everyone who lives with their parents can't cope in life. Maybe someone wants to save on their own flat in this way? Maybe he could not save if he had to pay the bills & rent? Maybe parents are elderly or sick and require care? On the other hand: maybe someone had to move out early in adult life, because there was violence/alcohol abuse in this house? Maybe someone was orphaned and had to learn how to cope earlier than his/her colleagues? Maybe someone is talented, has a great job, earns a lot and could start living alone at an early age? Not all parents are supportive and not all families are happy. Examples can be multiplied indefinitely, but that's not the point. Why are people so judgmental? What's wrong with us? Isn't it better to share positive energy instead of humiliating people? Mind your own business. Be good for each others. Don't judge. You never know, what life is preparing for you. If the parents are good people, then I don’t see a reason not to live with them until they pass away. Why not be with them if you enjoy having them around? Both pairs can benefit greatly. I would love to have my parents around forever.